We might have grown skeptical about our cultural legacy, but it is quite natural for us to assume that our own cognitive theories are the latest word when compared with those of our predecessors. Yet in some areas, the questions we are now asking are not too different from those posed some two or three centuries ago, if not earlier. One of the most topical questions in today’s cognitive science is the precise role of language in the brain and in human perception. Further disciplines, such as anthropology and evolutionary biology, are concerned with the emergence of language: How is it that homo sapiens is the only species possessing such a complex syntactic and semantic tool as human language? What is the relationship between human language and animal communication? Could there be any bridge between them, or are they of categorically different orders, as seems to be suggested by Noam Chomsky’s views? Such questions stood at the very centre of a fascinating debate in eighteenth-century Europe. From Riga to Glasgow and from Berlin down to Naples, Enlightenment authors asked themselves how language could have evolved among initially animal-like human beings. Some of them suggested some continuities between bestial and human communication, though most thinkers pointed to a strict barrier separating human language from vocal and gestural exchange among animals. In broad lines, this period witnessed a transition from an earlier theory of language, which saw our words as mirroring self-standing ideas, to the modern notion that signs are precisely what enables us to form our ideas in the first place. Such signs had, however, to be artificially crafted by human beings themselves; after all, natural sounds and gestures are also used by animals. According to various eighteenth-century thinkers, this transition from natural communication to artificial or arbitrary signs was the prerequisite for the creation of complex human interrelations and mutual commitments—in short, the basis for the creation of human society as we know it, with its political structures, economic relations, and artistic endeavours. In this sense, the language debates in eighteenth-century Europe highlighted a crucial problem in Enlightenment thought: how to think of the transition from a natural form of life (frequently conceptualized as a ‘state of nature’) to an artificial or man-made social condition (usually referred to as ‘civil society’). Language was a much more significant topic in Enlightenment thought than hitherto suggested. Furthermore, the idea that all distinctive forms of human life are based on artificial signs has been regarded as a main tenet of the Counter-Enlightenment, a relativistic and largely conservative movement which Isaiah Berlin contrasted to a universalistic French Enlightenment. By contrast, I argue in my book, Language and Enlightenment: The Berlin Debates of the Eighteenth Century (Oxford University Press, 2012), that awareness of the historicity and linguistic rootedness of life was a mainstream Enlightenment notion. This last point means that even if the eighteenth-century discussions of language and mind were quite similar to ours, particular nuances and approaches were moulded by contemporary concerns and contexts. The open and malleable character of the eighteenth-century Republic of Letters is found in a wide variety of authors: Leibniz, Wolff, Condillac, Rousseau, Michaelis, and Herder, among others. The language debates demonstrate that German theories of culture and language were not merely a rejection of French ideas. New notions of the genius of language and its role in cognition were constructed through a complex interaction with cross-European currents, especially via the prize contests at the Berlin Academy. 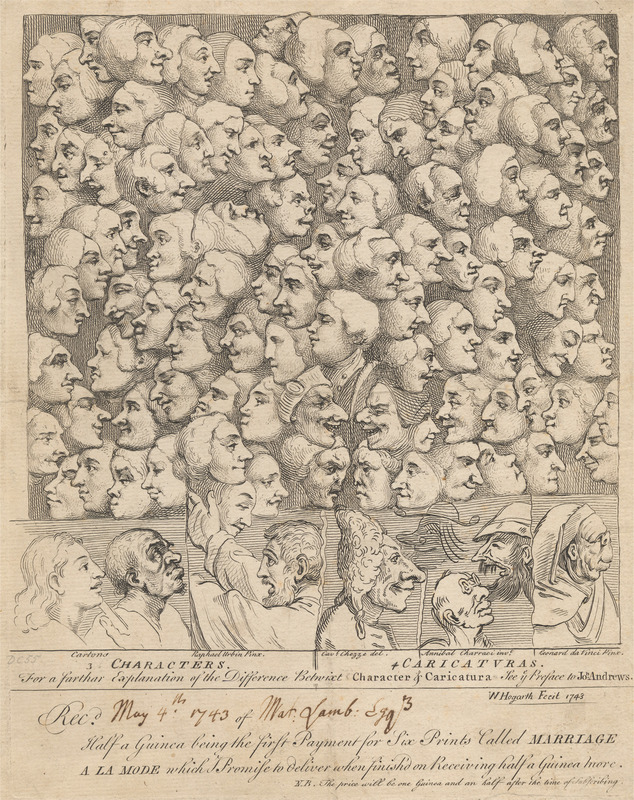 Eighteenth-century writers are preoccupied with describing and representing the human brain in the process of interpreting, understanding, and evaluating its own thoughts and the thoughts of others. On April 22, a vast cohort of scientists and their allies descended on Washington to take part in the DC March for Science. Researchers and educators, academics and civilians, town and gown, stood together to “express their fealty to reason, data, and, above all, the scientific method,” as a recent New Yorker article put it. Striking back at a Administration that has openly denied scientific consensus on issues such as climate change, even going so far as to purge scientific data from government servers, scientists marched against what seems to many like a sudden and shocking politicization of science. It’s like its 1676 all over again. Longitude was a hot topic in eighteenth-century Britain. “Looking for the Longitude” brings together a series of images and commentaries to consider how people experienced the longitude debate in eighteenth-century London. 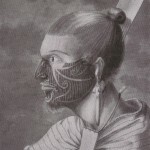 In 1773, James Bruce of Kinnaird returned to Europe after a decade of travel and study in North East Africa and Abyssinia (present-day Ethiopia). 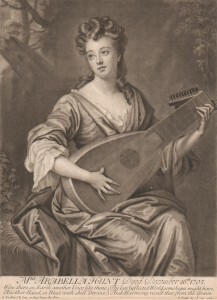 Initially, the knowledge he brought back with him was favorably received by notable figures like the great naturalist the Comte de Buffon, Pope Clement XIV, King Louis XV, and Dr. Charles Burney, ethnomusicologist, composer, and father of author Frances Burney. But as time went on, the public began to grow suspicious of some of his stories, such as his claims that he had eaten lion meat with a tribe in North Africa or that Abyssinian soldiers cut steaks from the rumps of live cows, then stitched the cows up again and sent them out to pasture. Disasters permeate the daily news and saturate our consciousness. This, as Marie-Hélène Huet proposes in a new book, is the way of the modern world. Megan Gallagher interviews Daniel Lewis, Curator of the Huntington Library’s exhibit, entitled Beautiful Science: Ideas that Changed the World. The physical garden was to Sir William Temple and other Epicureans a reflection of one’s mental landscape, and in the best of all possible worlds, one would stay in the garden–a position that Voltaire would later and more famously endorse in Candide. Like seventeenth-century definitions of wit, Temple’s philosophy of the garden expresses a balance of judgment and fancy, those gendered faculties of the mind, and an appropriate blend of reason and passion. The act of gardening for Temple was the practice of freeing the self from the disordered passions, unavoidable but capable of being subdued like wild weeds. One needs only a patch of earth, a shovel, and a life of the mind. 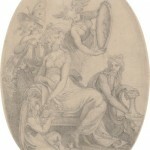 In mid-October 1784, two major London newspapers dedicated the poems that were a regular feature on their final page to a set of comic meditations on a unique fashion trend that had developed shortly after the first-ever human flight in England the month before. 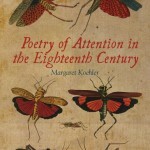 Margaret Koehler’s Poetry of Attention in the Eighteenth Century (Palgrave, 2012) makes a case for the relevance of eighteenth-century models of attention, suggesting that earlier accounts of cognition can be just as extensive, precise, and applicable to diverse realms of human experience as 21st-century theories. In his two-part medical treatise, Erasmus Darwin—physician, scientist, and inventor—anticipates his grandson Charles Darwin’s evolutionary theory by making a series of startling suggestions. “This is your brain on Jane Austen…” What role should developments in cognitive science play in humanities research? “This is your brain on Jane Austen…” declared the recent Stanford news description of the work of Natalie M. Phillips on fMRI brain images of graduate students reading Austen both attentively and in a more leisurely mode. The story of this research collaboration among “neurobiological experts, radiologists and humanities scholars” was featured by news outlets around the world, indicating the broad appeal of research that applies the newer tools of cognitive neuroscience to humanities analysis. Phillips’ work with cognitive scientists develops that of cognitive humanities scholars such as Alan Richardson, Jonathan Kramnick, Blakey Vermeule, and Lisa Zunshine. 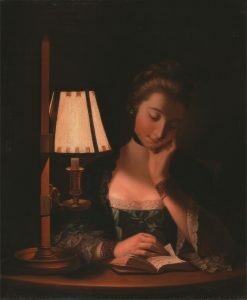 These pioneers in the field of what some call “Cognitive Cultural Studies” ask how the new research on the brain should impact our analyses of cultural production in the eighteenth century. Phillips augments this work by actually producing some of the new research on the brain. While this collaboration between literary and scientific scholars seems exciting and new, in some ways it actually returns to the eighteenth-century model of discourse in which poetry and chemistry, music and astronomy mingled interactively (as Richard Holmes’ The Age of Wonder amply details). The 18th-Century Common seeks contributions to a Collection on Cognitive Science and 18th-Century studies in which scholars engaged in this work–as well as those who critique it–will give readers tantalized by Natalie Phillips’ research on “your brain on Jane Austen” opportunities to learn more. Susan Greenfield examines why Austen’s work is especially revealing for those doing cognitive analysis, and she discusses these issues further with Natalie Phillips. Maria Konnikova responds to the reports of Phillips’ research from the point of view of a psychology researcher. Alan Richardson’s The Neural Sublime: Cognitive Theories and Romantic Texts (Johns Hopkins University Press, 2010). Jonathan Kramnick’s Actions and Objects from Hobbes to Richardson (Stanford University Press, 2010). Blakey Vermeule’s Why Do We Care About Literary Characters? 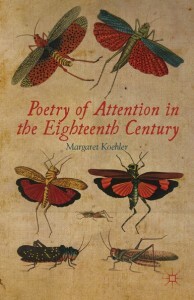 (Johns Hopkins University Press, 2011). Lisa Zunshine’s Introduction to Cognitive Cultural Studies (Johns Hopkins University Press, 2010).